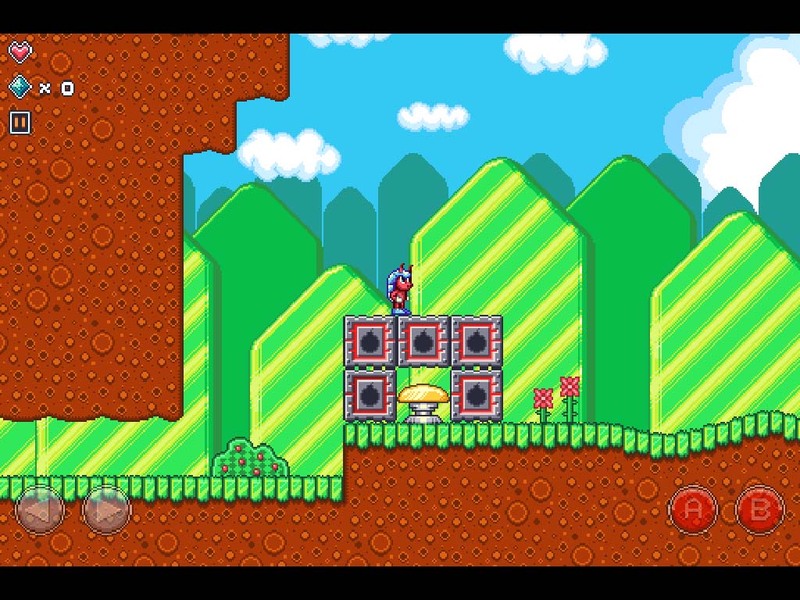 10 word description: 2D run ‘n’ roll retro platformer. 28 stages, boss fights. 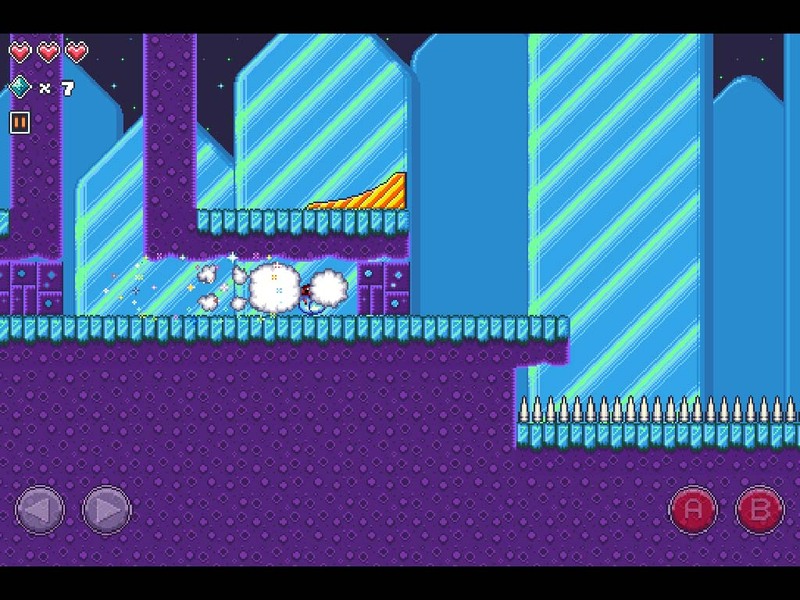 10 word review: Convincingly entertaining albeit unofficial offspring of Sonic and Mario. Recommended! At last, a pit full of spikes. Why do I feel a strange urge to take one small step forwards? 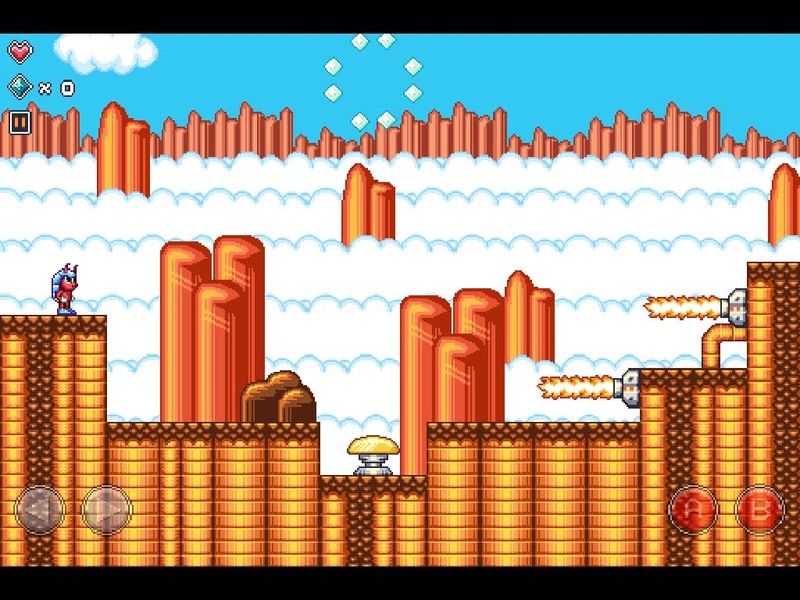 You will like this if you enjoy: Classic retro platform games such as Super Mario Land and Sonic the Hedgehog. 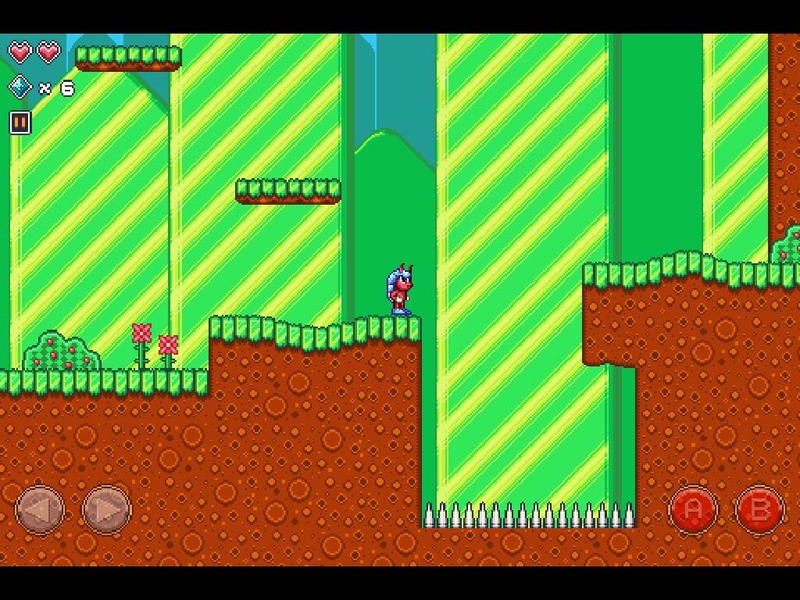 The good news: Finally, someone has managed to do a Sonic/Mario game for iOS that does what it promises, looks and sounds the part, has good controls, and hasn’t been turned into a tedious speed-runner or crippled with IAPs – there are no IAPs. Graphics – varied and accurately retro looking. Sound – decent music and effects. Controls – very reliable and responsive with separate button sizes and positioning for iPhone and iPad. 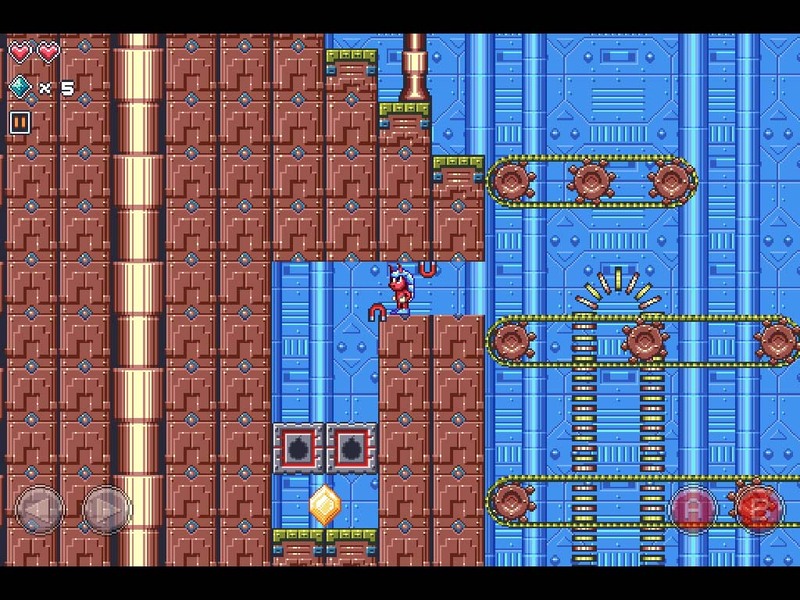 Level design – excellent, with a nice twist involving hanging onto the right power-up in order to reach the special gem on each level. The bad news: Polyroll sounds like a product for DIY wallpapering. The main character could have looked a bit nicer, although I’m happy to accept that this is just my opinion. There’s no iCloud save – I’m starting to expect this as a standard feature in universal games. No Game Center. Controls could have a bit more customisation than just the two predefined choices. Arcadelife verdict: Ignore my pathetic whining in the bad news section, this game is very, very good and a heck of a lot of fun. The basics – controls, level design, varied enemies and environmental hazards – are all present and correct, but the game really shines with its attention to detail. 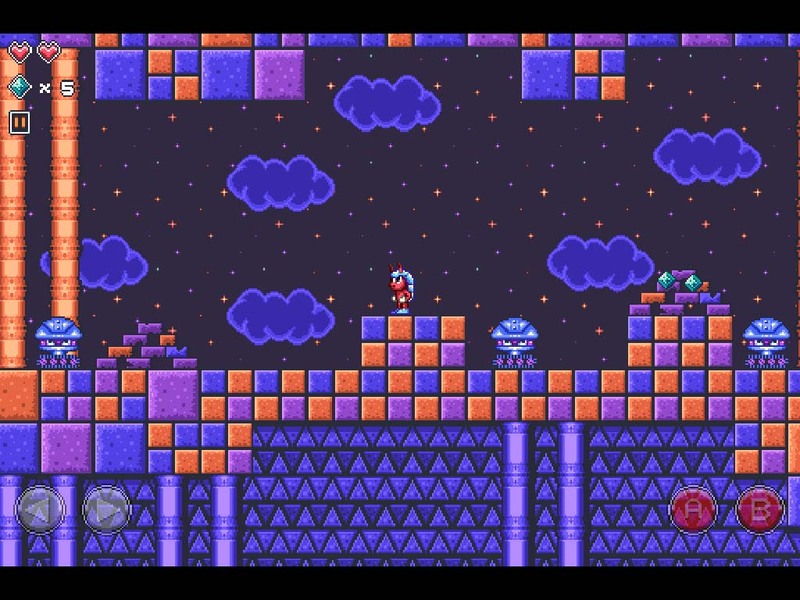 Running and jumping around is fast, smooth and intuitive; the challenge comes from learning the movements and attacks of the various enemies, collecting the right power-up at the right time and figuring out how to reach the special gem and collect all the smaller gems on each level. Rather than pressurising the player with a fun-spoiling timer, Polyroll gives you a series of wonderfully entertaining levels with some tough, but optional, goals to complete. True, you can’t progress until you reach the Goal flower of each level, but that part isn’t particularly difficult; collecting all the gems is where you decide whether you’re in it just for laughs or for the win. Although there’s no score, each level has that special gem to find, with a running total maintained on the level select screen and, for every 10 of the smaller gems that you collect, you add 1 heart to your store of lives. Ok, not lives as such, just the number of hits you can take before you have to restart the level. 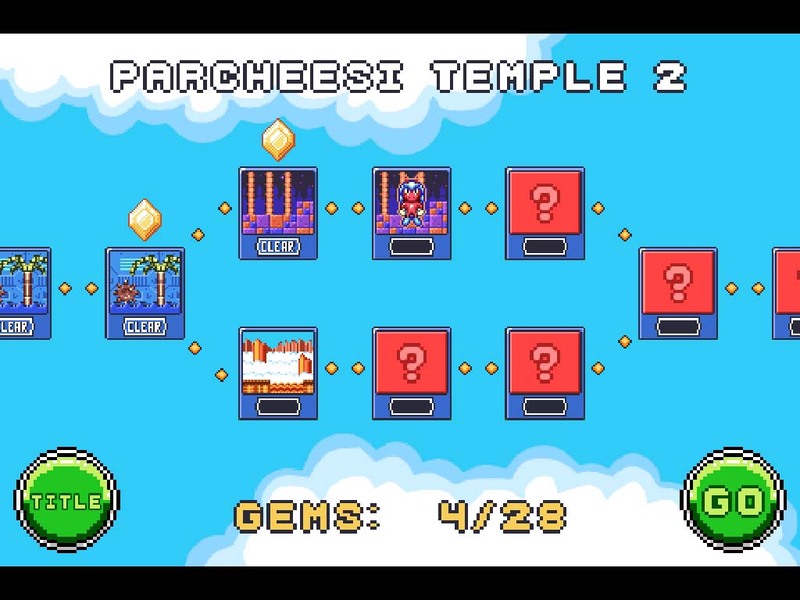 It’s a simple idea, but it adds a level of compulsion to the gem collecting because collecting as many as possible can improve your chances of beating each level. 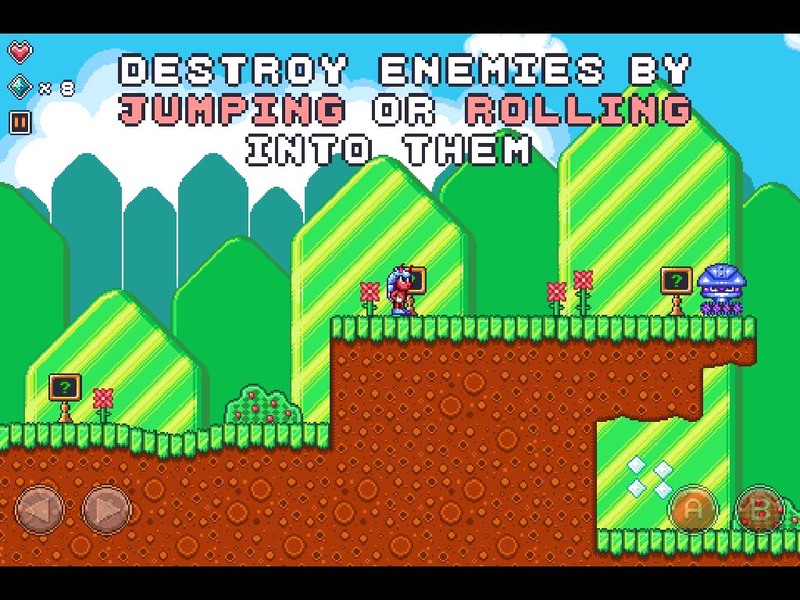 Overall, Polyroll is a great platform game – mostly action-oriented fun, with a bit of thought required in order to collect all the special gems – and I have no problem recommending it to anyone fancying a Mario/Sonic style game with its own spin on the genre on their iOS device.